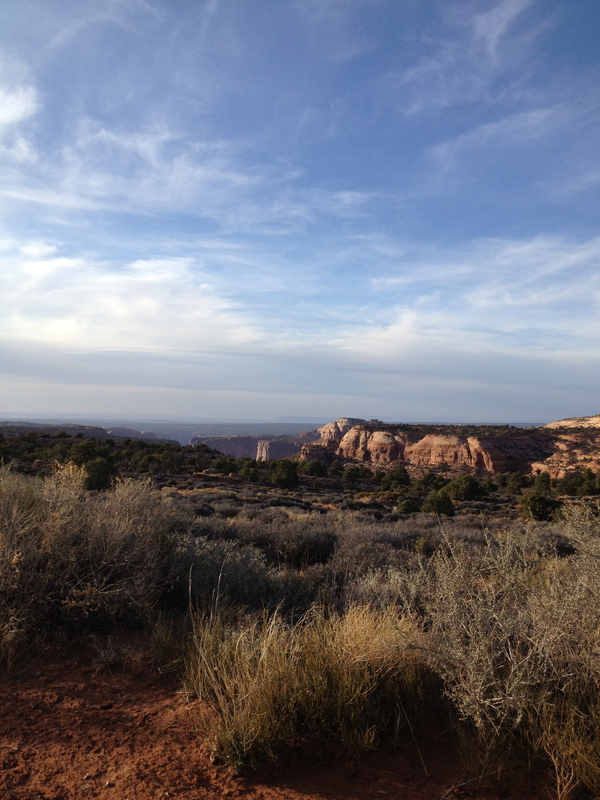 Today, was our final full day in the desert and, for our final desert excursion, we wanted to drive up to Island in the Sky, part of Canyonlands National Park. Canyonlands is a national park of almost 340,000 acres (compared to the more popular Arches National Park which is 76,000 acres). It is divided into 4 distinct areas by location and geography: Island in the Sky (a lush mesa), the Needles (an amazing area of sandstone pinnacles), the Maze (a remote labyrinth into countless canyons), and the 2 rivers: the Colorado River and Green River. The rivers' deep carving of the canyons brings the views to near Grand Canyon proportions as they divide the park's three areas and make it so that by car there is no easy way to travel between the three. The Needles to Island in the Sky is a 2 hour drive, while Island in the Sky to the Maze is a 7 hour drive. The Island in the Sky is a expanse mesa. 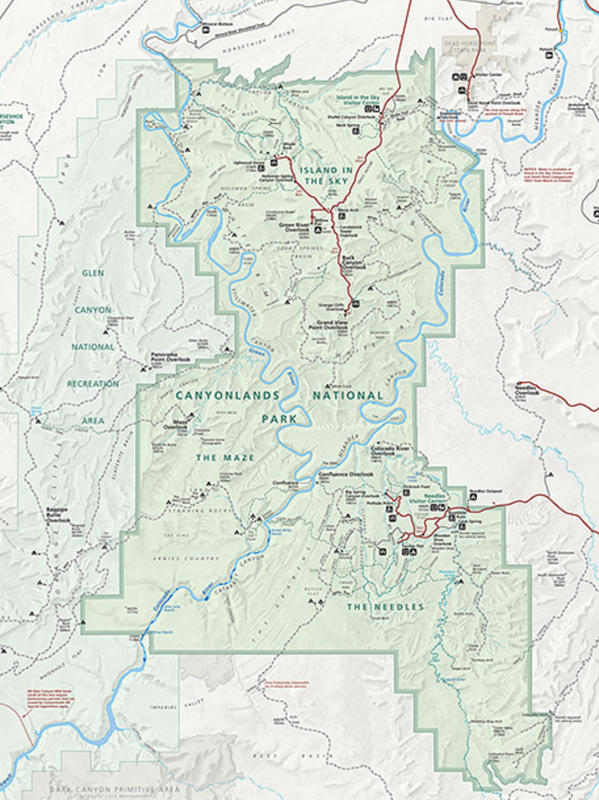 Though it feels like it is shaped like a land peninsula rather than island, it does sit nearly 2000 feet higher in elevation than the city of Moab and the rivers below. 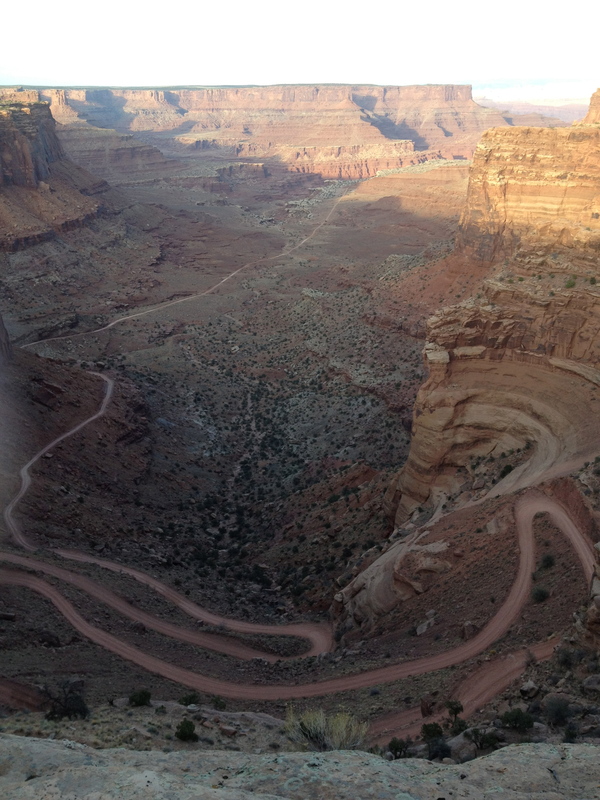 To get to the Island in the Sky, you drive northwest of Moab for 9-10 miles then take a left. From here, over 14 miles, you rise up the 2K to reach the mesa top. Desert greens cover the mesa floor for miles in every direction and while looking across the flat, lush, vibrant landscape you begin to wonder, "Where are the canyons?" But then, the Navajo and entrada sandstones begin to peek up their heads and the flat mesa begins to cast eerie shadows into the landscape. The view is similar to what one would expect to have seen on Columbus's maiden voyage, you have reached the end of the world, you are about to go over the edge like a waterfall, but here the green sea disappears into the depths of reds. Island in the Sky may be a dead end but the view is uninterrupted. It's no wonder that Edward Abbey called the Canyonlands, "the most weird, wonderful, magical place on earth - there is nothing else like it anywhere."